any one tried to scratch build the x-29 yet. What set up would you go with. pusher prop or edf engine ? I think you should build the Pusher first and when you have finished crashing it you could then build the EDF version. The pusher version is lighter and propellers are cheaper to replace than EDFs or the replacement blade sets. I agree with Hai-Lee. 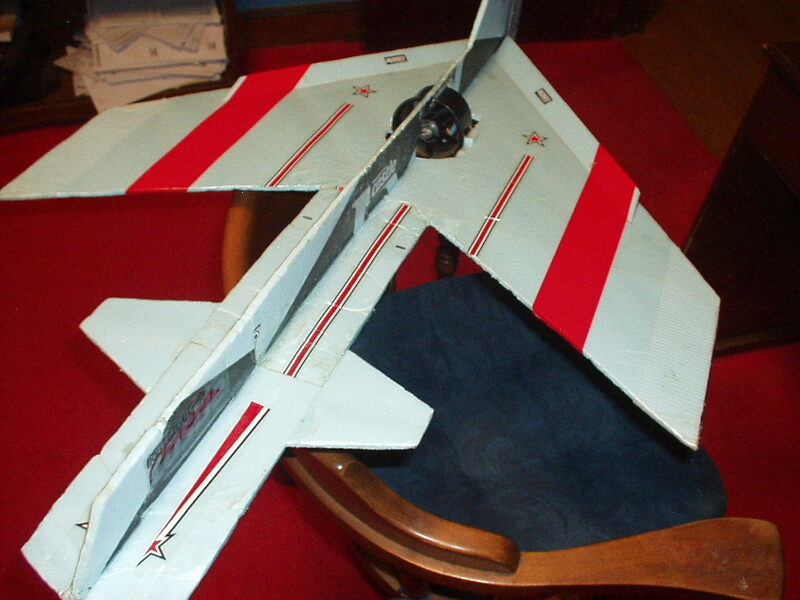 I have scratch built the x-29 as a 70mm edf. Fun! But heavy and needs skill to fly. I did my own version of a X-29 where I used a cheap 5 bladed 64mm EDF and ended up using no tail feathers and instituted an elevon setup. Hardest part was getting the CG right. Notice I encased the EDF in the main structure so no EDF would be hurt. It goes like h--l when wide open. Build strong to prevent wing flutter. I agree with @Hai-Lee and would go with the pusher setup. At what position is the CG? Here is a video of trying to find the right value of CG for the swept wing. Way different then calc. The reason you should start off with the EDF rather than prop is the EDF is protected and no major damage occurs. I have done props in front, in fuse and at the tail end, each has caused damage when the prop strikes(running or off) especially if you are checking out the CG. Here is a video showing where I had to move the battery forward trying to find the proper CG.